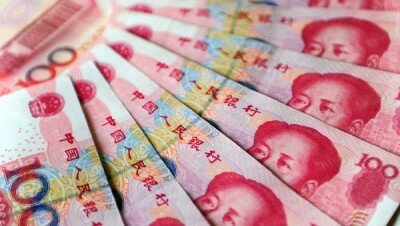 China’s Financial Crisis Erupts Again–What’s Next? Stimulating the rise of stock prices was also considered to have a double beneficial effect. It would divert money capital out of the over-heated local housing and real estate-infrastructure market, which it did. Higher stock prices would in theory also provide an important funding source for SOEs and other non-financial enterprises in trouble. If their stock price rose, it would reduce their need to borrow more debt at higher rates with more stringent terms of repayment. Debt would be exchanged for equity, reducing their financial fragility. Higher stock prices also meant, in theory at least, that enterprises in general would realize higher capital gain income, from which they could and would invest in expansion. Real asset investment would result, providing jobs and income for more workers and thus more private consumption. Rising stock prices would also have a positive ‘wealth effect’ on high end retail investors in the market, and also promote more private consumption. Higher stock prices would assist in the strategic shift to more private sector investment and consumption as the key drivers of economic growth. China differed from the AEs in the initial period of 2008-10. Fiscal policy came first, and monetary policy and liquidity was primarily accommodative. But that began to reverse as a result of a series of measures, first in 2010 and then in 2013. The liquidity and debt explosions in China thus came later, well after the AEs, and in different forms. The eventual financial asset bubbles occurred in different markets as well. But China’s experience, especially after 2013, shows the same problems with AE recovery strategies that focus on liquidity injection that ultimately lead to excessive debt leveraging that tends to flow into financial asset markets. They lead to financial asset bubbles, to the need for still more liquidity to prop up the financial asset deflation that inevitably occurs when bubbles unwind and prior debt cannot be repaid. Excess liquidity leads to debt leads to more liquidity and yet more debt. It is a vicious circle leading to financial fragility and instability. Author’s Note: With all the news about China this past week, likely to continue this week and next, how did the growing crisis in China originate? 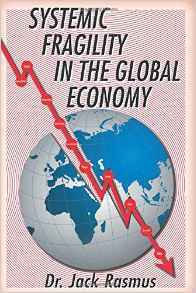 The above text is an excerpt from chapter 6 of my just published book, ‘Systemic Fragility in the Global Econonomy ». That chapter, dedicated to China, is entitled: « Bubbles, Bubbles, Debt and Troubles ». The following are two excerpts from Chapter 6 on China in the book. Order a copy of Rasmus’ book here or on amazon.